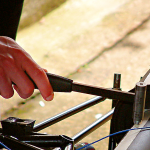 Here we look at how to calibrate an accelerometer using a Prosig P5000 system. Put the wax on the shaker top. Place the accelerometer in the axis you wish to calibrate with positive up and cable connected to P5000 with the relevant transducer class chosen. Go to Single Channel Calibration screen. Click on the Tone tab. With P5000 armed turn on the shaker and monitor the sine wave on the real-time monitor and check Signal Quality as being GOOD. With a GOOD sine wave click the Calculate button. It is recommended to click Calculate three times. Check to see the Sensitivity change from what was originally entered when setting up the channel transducer information to the new calculated value. The calculated value should be close to the original. DC Cal Offset is for DC level accelerometers. Requested Excitation is for non IEPE (ICP) accelerometers such as capacitive. After calculating the new sensitivity click on the Use button to make the change in the Transducer Sensitivity Acquisition Setup file. NOTE: To achieve a GOOD signal reading place the shaker on a flat surface and avoid touching during operation. Make sure the surface the shaker is sitting on does not come in contact with other sources of vibrations or electrical conductance. What is Source Contribution Analysis (or SCA)? 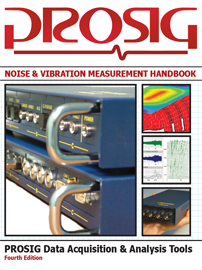 How do you measure the causes of a noise or vibration with respect to several sources? Which source is causing what part of the response? For example, how does the noise inside the cabin of a vehicle relate to the engine noise or wheel hub noise and vibration? Continue reading What is Source Contribution Analysis (or SCA)?